The journey will span four months and traverse more than 50,000 km across 17 countries in North, Central and South America. This translates into over 450 km of hyperriding every day without any dedicated service support or back-up team across all kinds of terrain, climate and conditions. From the ice-pack roads and long-distance highways of Canada, USA and Mexico, to the tropical river beds and dirt tracks of Central America and the Amazon Forest and River basin in Brazil, continuing to the gravel tracks of the high altitude passes of the Andean highlands and the Atacama desert, and finally to the majestic open grasslands of the Argentinian Pampas. 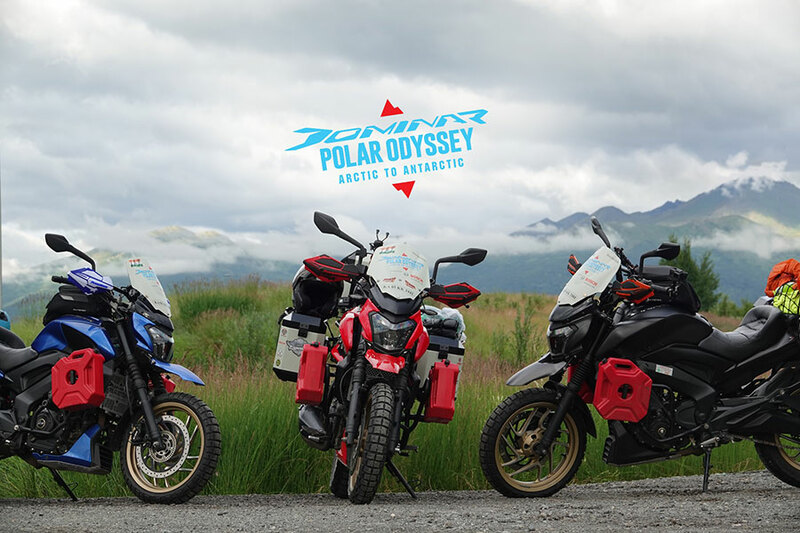 During the Dominar Polar Odyssey, the Dominar shall cover four of the world’s toughest roads making it the most audacious odyssey ever attempted. A year ago with the completion of the Trans-Siberian Odyssey, the Dominar 400 comprehensively cemented its reputation as the motorcycle of choice for the discerning motorcyclists in India. The Dominar Polar Odyssey from the North Pole to the South Pole shall demonstrate the indominable product leadership of the Dominar 400. That this grueling Polar Odyssey is being attempted on stock Dominars without any major part change and without a support crew, is testimony to the superiority of the Dominar 400 over all other motorcycles in its class. 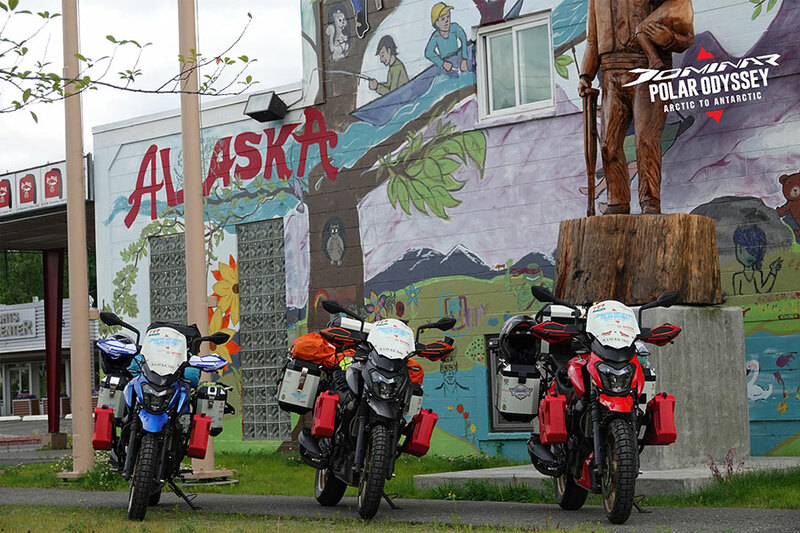 World’s First Polar Odyssey: from Tuktoyaktuk in the Arctic circle to Ushuaia, the closest point to the Antarctic. 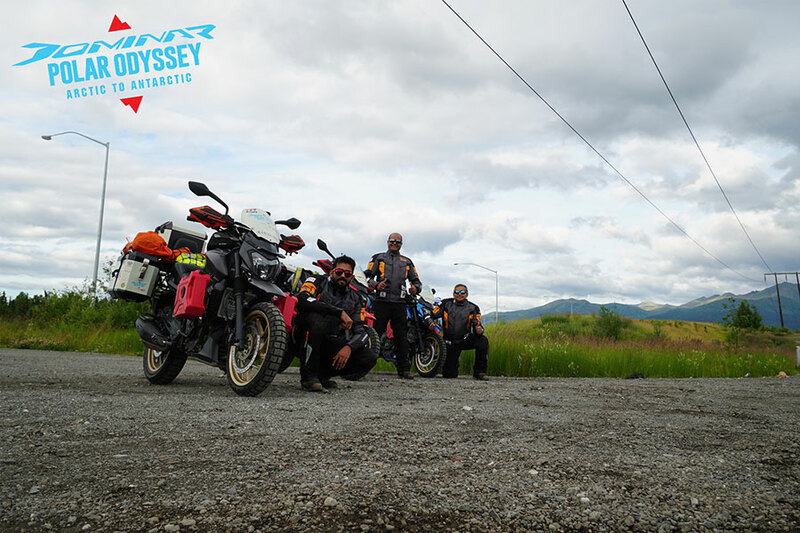 3 Indian riders on their Bajaj Dominar 400’s shall cover 50,000 km across North, Central and South America in approximately four months. The Polar Odyssey starts on the first year anniversary of the successful and path breaking “First time for India” Trans-Siberian Odyssey.